John Ahern, CFP® | Financial Advisory Network, LLC. John joined Financial Advisory Network, LLC in 2009. He is a Certified Financial Planner TM and works closely with his clients throughout the Financial Planning process to develop, implement and monitor customized financial planning recommendations. He is dedicated to excellent client service, clear communication and transparency. 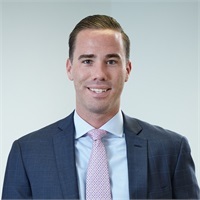 John is a 2012 graduate of the John F. Welch College of Business at Sacred Heart University with a Bachelor's Degree in Finance and Economics. He holds Life, Accident & Health, Series 7 and Series 66 Licenses. John resides in Fairfield, CT with his wife, Brigid. In his free time, he enjoys golf, skiing and cycling.